The SHAKER works on almost any vehicle! Purchase your Wiper SHAKER today! 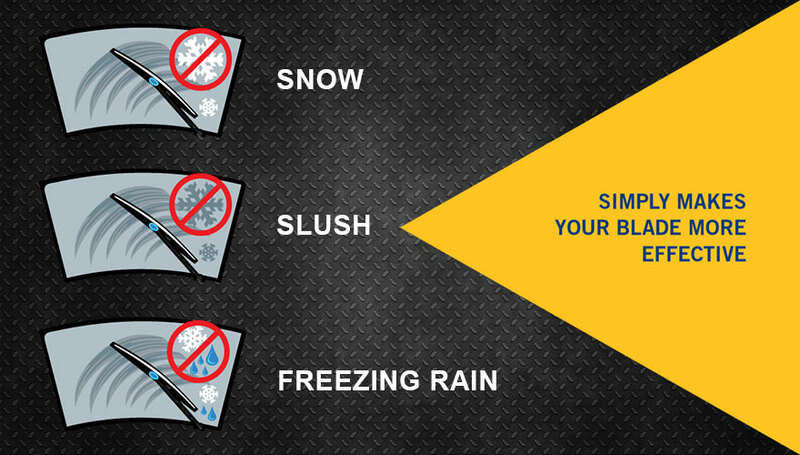 Wiper SHAKER uses vibration to break apart ice build-up on your windshield wipers with the simple push of a button. In addition, the SHAKER can dislodge leaves, twigs and pine needles in seconds! This compact unit clamps securely onto the existing wiper arm and activates with the simple push of a button from inside the vehicle. The vibration causes the wiper blade to skip against the windshield shattering frozen snow and displacing ice. Having a clear windshield when driving conditions are poor is crucial. Safe driving in bad weather conditions is not a joke. Let the Wiper SHAKER keep your windshield clear of ice and debris to allow for safe driving when it’s needed the most. Click Here to Watch the Wiper Shaker in Action! The Wiper SHAKER is compatible with most vehicles that use a “hook” wiper arm. We have a comprehensive guide to determine if the SHAKER will work for your vehicle and you can find that by clicking the learn more button below. Although basic installation of the SHAKER unit itself is relatively simple to do, the wire harness must be passed through the fire wall. Therefore, we recommend that you use a qualified mechanic for the installation. Use the SHAKER to rid the wiper blade of trapped debris such as leaves, twigs, pine needles etc. Not to mention, bird droppings on your windshield in conjunction with fluid. You can even use the SHAKER to help reduce large bug deposits. Streaking is just one of the problems that can impair your visibility when driving. The SHAKER improves your visibility by reducing streaking on your vehicles windshield. The SHAKER also helps with removing leaves, clearing bird droppings and mud build-up.